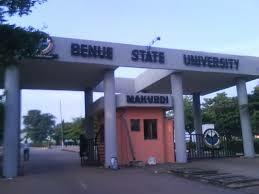 Benue State University, BSUM School Fees and Course Registration Guidelines for Newly Admitted Students for 2018/2019 Academic Session. This is to inform all successfully admitted students of the Benue State University, BSUM who has accepted their admission, uploaded their documents online can now proceed with the payment of school fees and course registration for the 2018/2019 academic session. Candidates are kindly requested to comply with these directives. iii. Select programme, Payment Category: School Fees, Type in Registration Number, Select session or semester as applicable.